I decided to switch things up for dinner last night and have an Italian night. This Baked Ziti Recipe has been in the family for years. 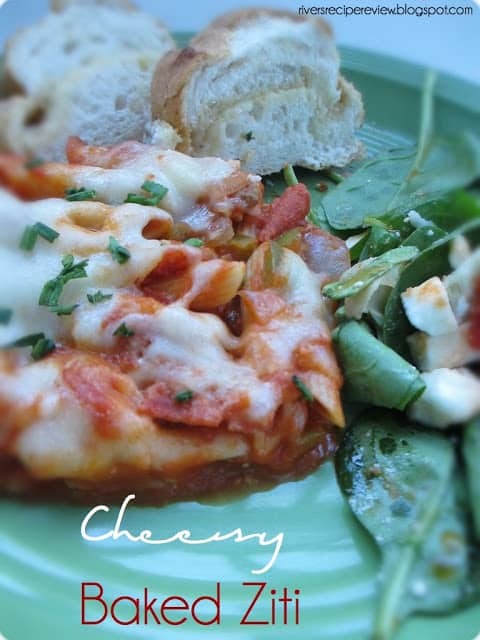 It is so yummy and cheesy. I like how it has pepperoni and sausage in it, which gives it such a good flavor. Brown the sausage and pepperoni together and drain the grease. 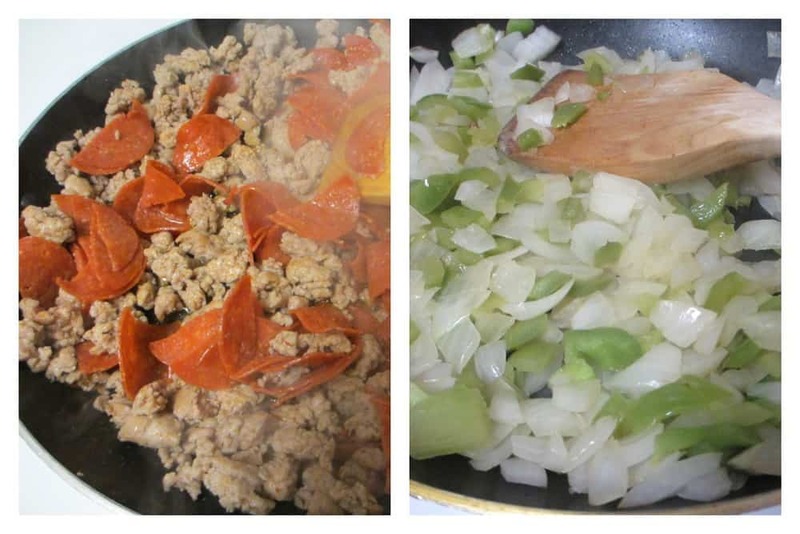 Cook onion and green pepper and garlic, put with meat. 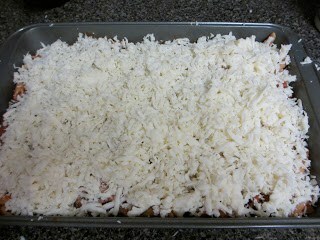 Add 1/2 cup grated Parmesan and prego sauce. Cook 2 cups of noodles. Mix everything together, put Pam in 9×13 pan. Put half of noodle mixture and sprinkle with 1 cup of cheese. Put remaining and top with the rest of the mozzarella. baked ziti is the ultimate comfort food to me. that looks delicious! I feel so ignorant – i have never heard of Ziti before. How much is “3/4 pepperoni”? 3/4 cup?